Azerbaijan's government is successfully and decently pursuing the large-scale social policy set by President Ilham Aliyev, Deputy Prime Minister Ali Ahmadov said. 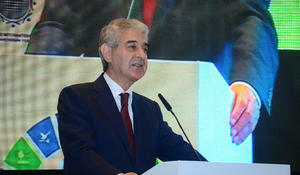 The current grandiose development of Azerbaijan was achieved in just 13-15 years, Azerbaijan's Deputy Prime Minister and Chairman of the National Coordinating Council for Sustainable Development Ali Ahmadov said. 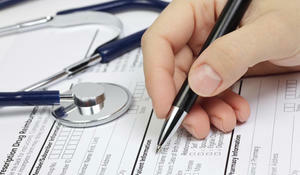 The capital of Moldova, Chisinau, will host a meeting of the heads of government of the GUAM countries on October 5. 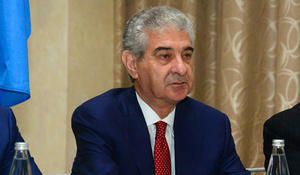 Thanks to the successful agrarian policy conducted in Azerbaijan, the issue of the population’s provision with food has been resolved, and the purpose of the ongoing work is to further improve food provision, Azerbaijan’s Deputy Prime Minister Ali Ahmadov said. 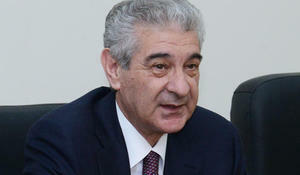 The ruling New Azerbaijan Party attaches great importance to the work of the media, deputy prime minister, Deputy Chairman and Executive Secretary of the party Ali Ahmadov said July 20. 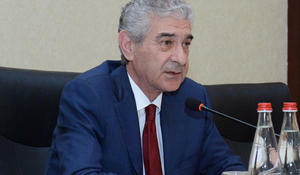 Azerbaijan will hold the next parliamentary election in 2020, the country’s deputy prime minister, Deputy Chairman and Executive Secretary of the ruling New Azerbaijan Party (NAP) Ali Ahmadov said May 7. 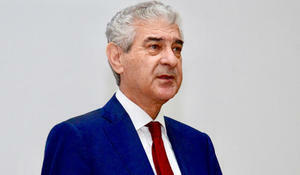 As long as Armenia doesn't abandon its aggressive policy, the country will never have a bright future, Deputy Chairman of the ruling New Azerbaijan Party Ali Ahmadov told reporters in Baku on May 7. Despite being an energy-rich country, Azerbaijan is interested in the development of alternative energy sources, Azerbaijani Deputy Prime Minister, Chairman of the National Coordination Council for Sustainable Development Ali Ahmadov said on April 24. 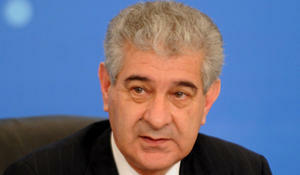 The OSCE Office for Democratic Institutions and Human Rights can’t escape double standards, ignores all of the opinions of international observers regarding the presidential election in Azerbaijan, said Deputy Prime Minister and Executive Secretary - Deputy Chairman of the ruling New Azerbaijan Party Ali Ahmadov.